They say that 30 is the new 20, so fear not the big 3-Oh! Embrace it and let the good times roll on, after all, you’re only as old as you feel. A friend of mine turned 30 on the 30th, so I decided to make cupcakes to celebrate the occassion. He is an avid cupcake fan and choosing a flavour was difficult. 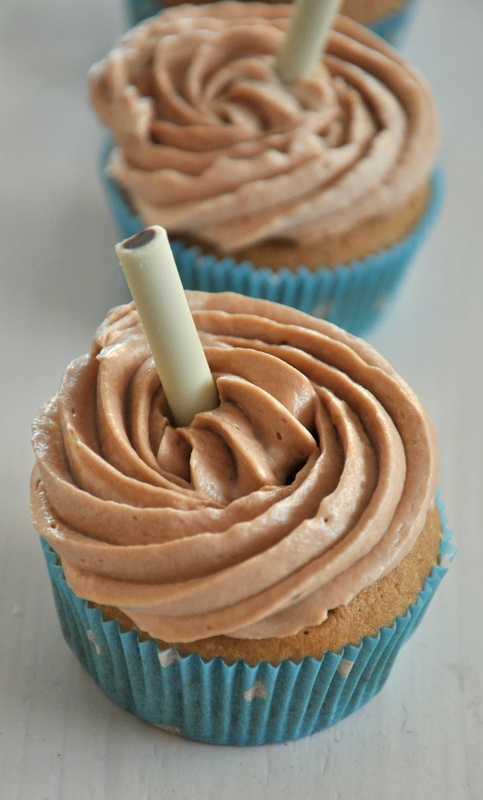 I finally settled on double coffee – a moist coffee cake base, with coffee cream cheese icing and topped with a Cafe Latte chocolate stick. 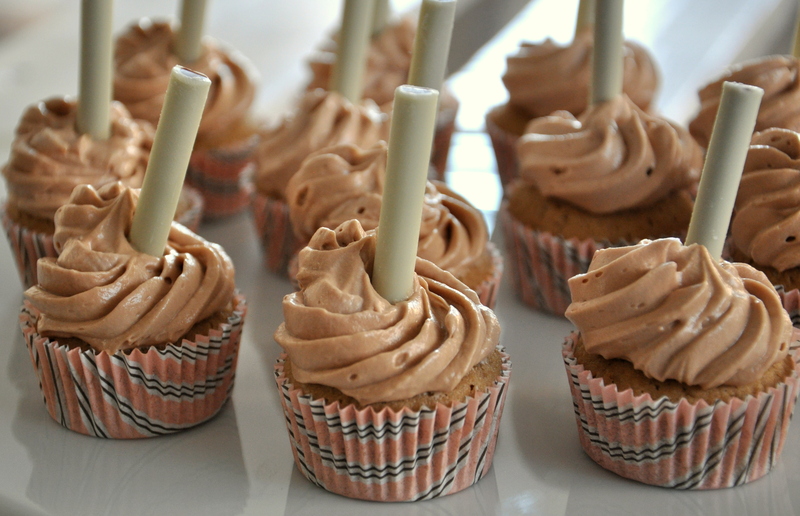 The coffee flavour is very appropriate – I never met anyone before who drinks so much coffee in a day as he does, so I figured coffee cupcakes would be the perfect add on to that morning, mid morning, lunch or afternoon cup of coffee. To be honest, I could use the extra caffeine kick myself – recently the nights are alot shorter than they used to be for me! I baked a mix of mini’s and regular sized cupcakes, but personally I prefer the mini’s. They’re the perfect bite size treat and loaded with flavour. This was also the debut of the new camera- quite chuffed with my recent purchase, however, still have the pit in my stomach after the last one was stolen at the train station – thanks Cologne! Anyhoo, time moves on and I am back in business. In the meantime, Happy birthday my friend! Hope you enjoy your cupcakes. (P.S. This is a nut free cupcake recipe).